LEADING digital print, brand management and media specialist, Springfield Solutions, has made three key appointments to drive future growth. 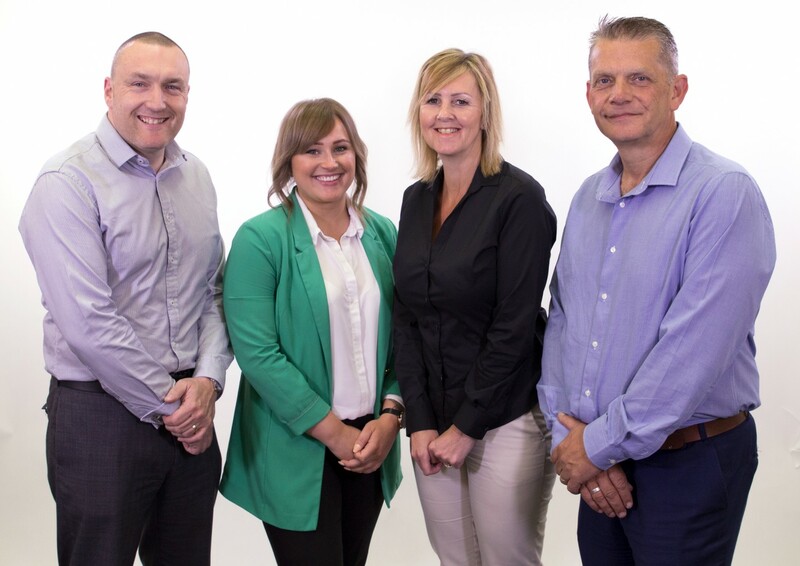 Steve May, Charlotte Thorpe and Jane Stephenson have all been recruited to the Hull business’s new elite sales team, which is led by long-term Springfield business development manager John Grant. John, who has played an important role in the success of Springfield Solutions in recent years, has moved to the position of Head of Sales & Business Development. Springfield Solutions assembled the team after investing £1.3m in its #PrintWorks expansion, which has revolutionised the company’s digital print and brand management services. Steve, Charlotte and Jane will work across all divisions of the business, including tying in the media services of sister company, Eon Visual Media. Springfield joint managing director, Matt Dass, said they have created the business development team because the company is ambitious and wants to realise new opportunities in the UK and abroad. Matt said: “We invested £1.3m in our #PrintWorks expansion and that has boosted our digital printing offering significantly. “However, the team won’t just be looking to grow our print client-base. We’re keen to demonstrate the advantages that our dedicated brand management services can offer, particularly to companies with a global reach. Steve joins Springfield Solutions with 15 years’ experience in the labels and flexibles industry having worked in contract manufacturing and the print sector. Charlotte brings nearly 10 years of sales experience to the role, having previously worked in the media, finance and hospitality industries. Jane has been promoted internally to her new role and is Springfield Solutions’ longest serving employee. She has worked in a diverse range of roles from design to finance and has a wealth of experience in design, account management, reprographics and print. John Grant said that each individual brought a different but complementary skills set to the new team. “Steve knows the print industry well, Charlotte has a lot of marketing experience and Jane knows Springfield Solutions better than almost anyone else in the company,” he said.